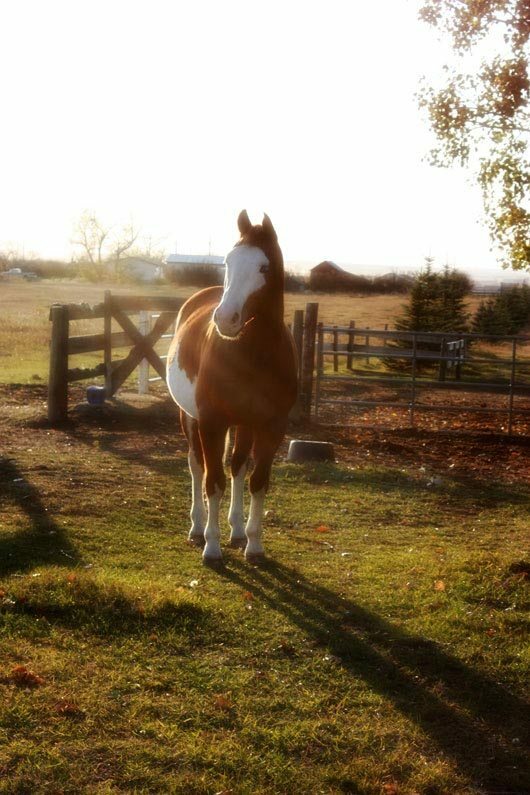 This is Blue, our Paint gelding. Isn’t he dreamy? Everybody loves Blue. He’s just that kind of horse. Blue’s registered name is A Smokin Diamond. 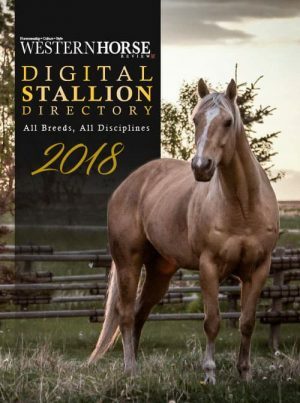 He was bred to be a cutting horse, by Like A Diamond, and out of a Genuine Peppy mare which I understand was a serious competitor in her aged event years. Blue, however, somehow missed the essential cow-sense gene, and though impeccably well bred, did not take to the discipline. Truthfully, I can’t even imagine him as a cutting horse. Someone please show me that film. 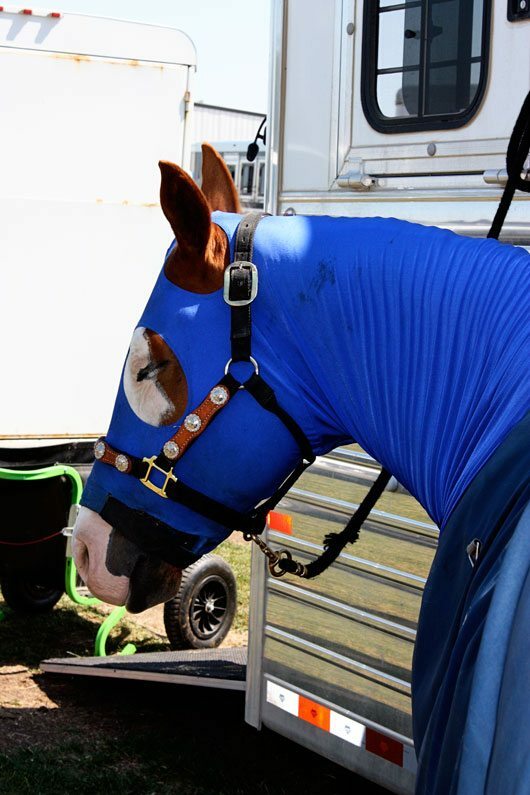 For Blue possesses a character which is the furthest from a cutting horse I have ever observed. He likes parades, and kids, and shooting his tail out as if it’s the coolest, and prancing. Sometimes right through his western pleasure class. He’s the kind of horse who nickers when he sees his reflection in a window. I dare you to not love this guy. Occasionally, his antics remind me of Jesse Burn’s Hollywood actor brother, Neal, in A River Runs Through It. Except he doesn’t drink alcohol. Or date females with names like Old Rawhide. He does flip his mane in the mirror and check his profile. 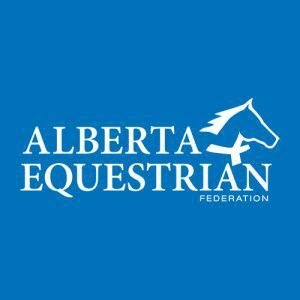 According to the National Cutting Horse Association Horse Earnings tabulator, he won $366.36 in three years of aged event competition. It was mutually decided he wasn’t going to make a cutter. Working cow horse was suggested, and attempted. It didn’t take. His then Cutter-owner was stuck with a pretty and prancing blue-eyed Paint gelding, owning a gentle and sweet disposition, and possessed with a mind which seemed to be convinced the sport of cutting was about as far-fetched an idea of competitive fun as catching slippery piglets in a mudpen. 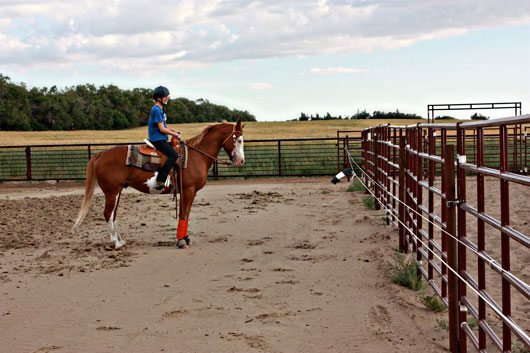 Lucky for this family, I rode out of the same barn as Cutter-owner did. 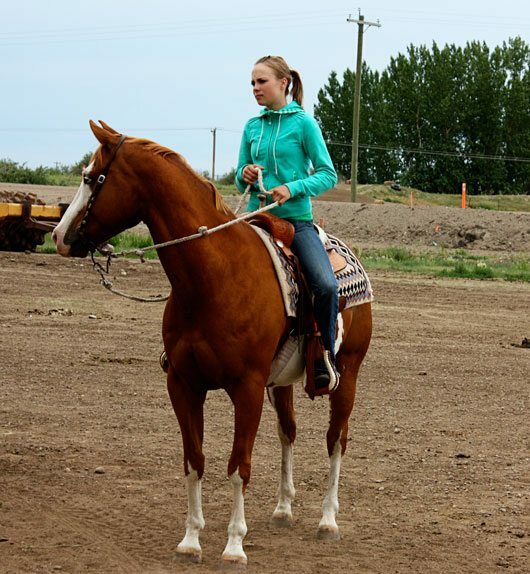 Eventually the conversation sidled around to Teenager requiring a new horse for 4H. So I brought him home. 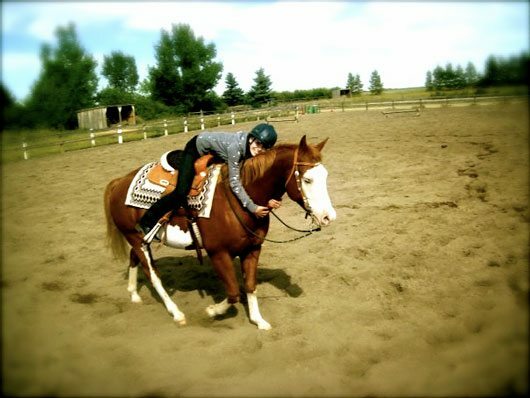 On a Sunday afternoon I saddled him up for a ride through the neighbour’s pasture. At some point we found the only ball of tangled old barb wire in the pasture and trotted right into it. While my mind raced forward to the conversation I would soon be engaged in with Cutter-owner whilst at the vet clinic, explaining how I managed to cripple his pretty Paint gelding, I calmly asked Blue to “whoa”. He stopped, let me dismount, and lift each of his legs out of the barb wire, and pull it all away. We came through it without a scratch. Naturally, I figured if he had a good enough mind to not turn that situation into a train wreck, he was a keeper. The following week, I conducted due diligence and had him vet-checked. He failed. Something about him too straight up, and this and that. It was too late, he’d already passed my test. I loved him. 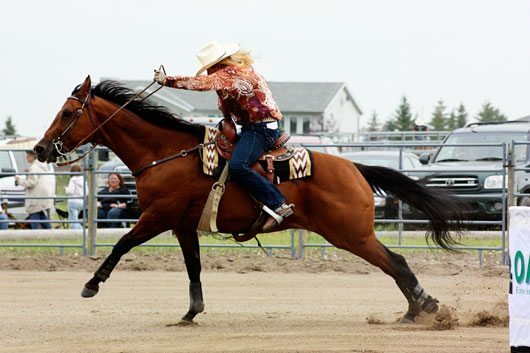 Cutter-owner knew what he was doing when he sent that gelding home with me. We negotiated. Somewhere between what Cutter-owner wanted and closer to the price I could afford – a deal was struck. Remarkably less than Cutter-owner would have needed to cut his losses to any real degree. But ultimately, he wanted to have a good home for Blue. I have a great respect for horse owners with this mindset. I’m very serious when I say that. 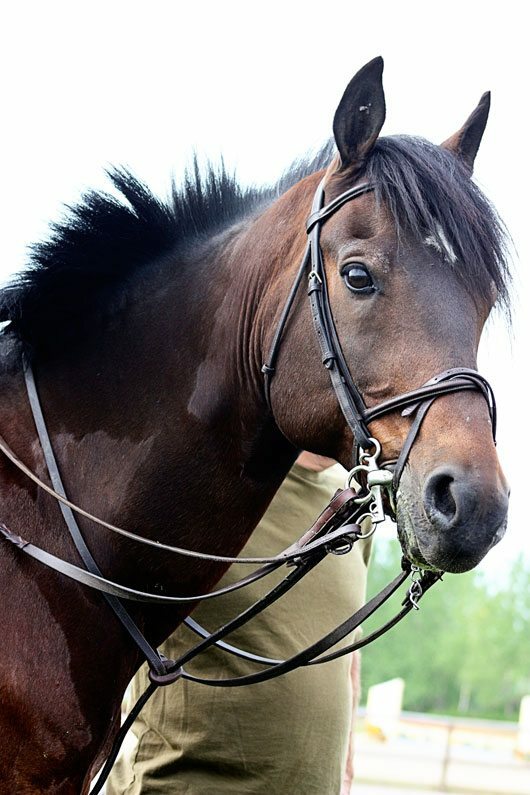 It is a great responsibility we own, we horse owners. This is a picture of Teenager and Blue the first day I brought him home. She’s grown so much since then, I am barely holding back the tears typing this. I mean, not that I’m not loving the teenager years. Really. I am LOOOOVVVING THEM. How much longer does this go on? I’m tangenting. Let me get back to my story. Turns out Blue is a tremendous competitor. 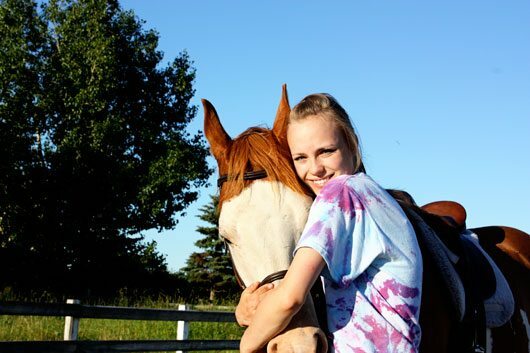 Teenager rode him in 4H for four full years. 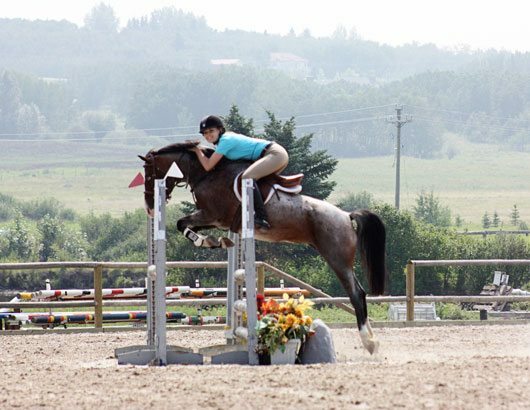 In the winters, she rode him out of a jumper barn, and competed in hunter (successfully), and even tried to jump him (less successfully). 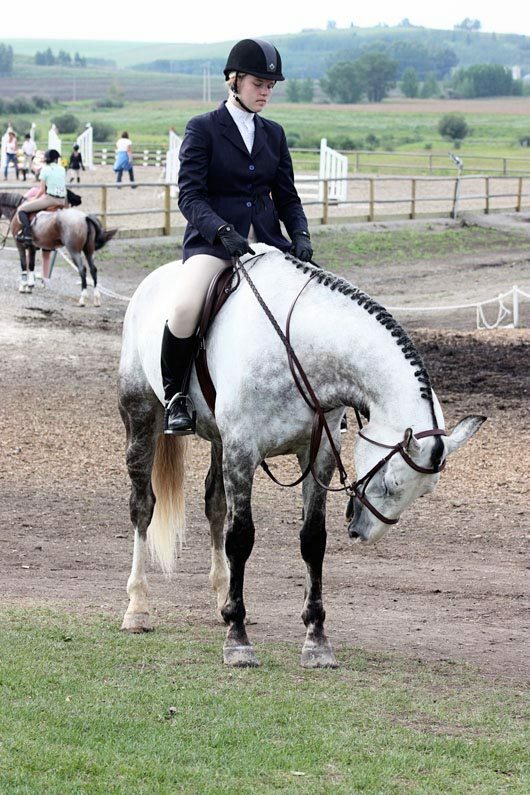 In 4-H and open breed shows and fairs, she rode him in English pleasure, equitation and hunter classes. 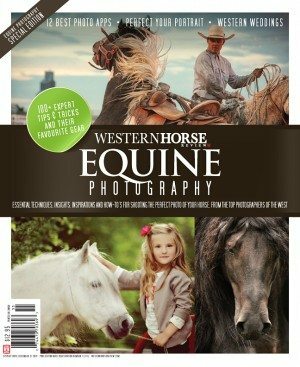 In western pleasure and equitation. They competed together in the toilet-paper race. 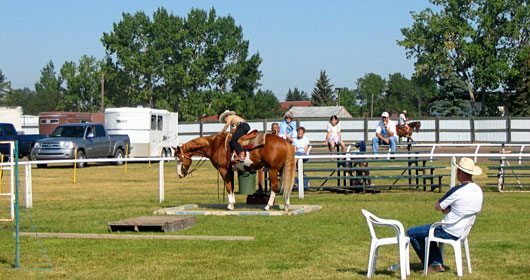 Lougheed, Alberta, has a great horse show day during their Fair, with so many fun and old-school classes we’d never even heard of. 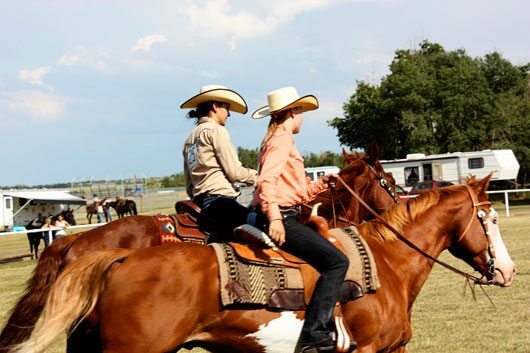 Here, Blue and Teenager made their debut in the sleepy cowboy competition, where contestants begin the race “sleeping” on saddle pads draped over their saddles on the ground, then must “wake up”, saddle up as quickly as possible, and race their mounts to the other end of the arena. 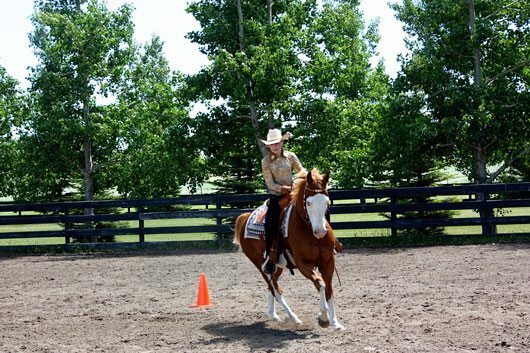 The pair competed with another re-purposed cutter and equally competitive kid in the western pairs class. It wasn’t all fun and games for Blue. He had to learn to put up with a lot. And 565, give or take a few, lessons. We even took him back to the cutting flag once. Just in case one of the three trainers he had gone through missed something. You never know. Does that stance seem to say, “after all I’ve done, you bring me back here?” , or is it just me? Alright, not every day was a pretty day. This might have been one of those. Lessons were learned, tempers sometimes ran amuck. But Blue was a wonderful companion and influence for Teenager through her pre- and teen years. So many memories of Blue and Teenager our family will treasure forever. . . And so, on this day, internet world, in our little horse family, it’s the end of an era. That of Blue and Teenager competing together. And, the beginning of another! After six years of trailing her big sister to every 4H show, lesson, class and event, it’s finally Wee’s turn. 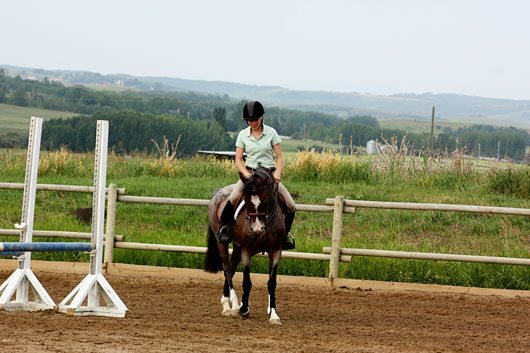 She’s nine, and in the 4H world that means . . . she’s legal to ride! While the care of Blue will now be placed primarily in Wee’s hands, and vice versa, I have a feeling Teenager won’t forget about him. I’m guessing he’ll still be her go-to guy for times like this. And days when she needs this. Yep, he’s a keeper. But then I think I knew that back at the barb wire ball. 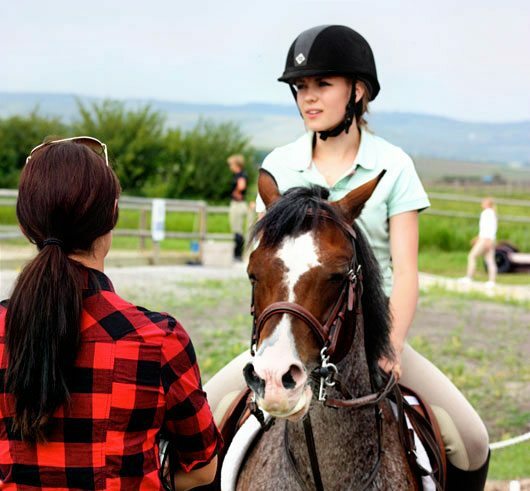 You might recall my post about Teenager’s “pony project” sometime ago. 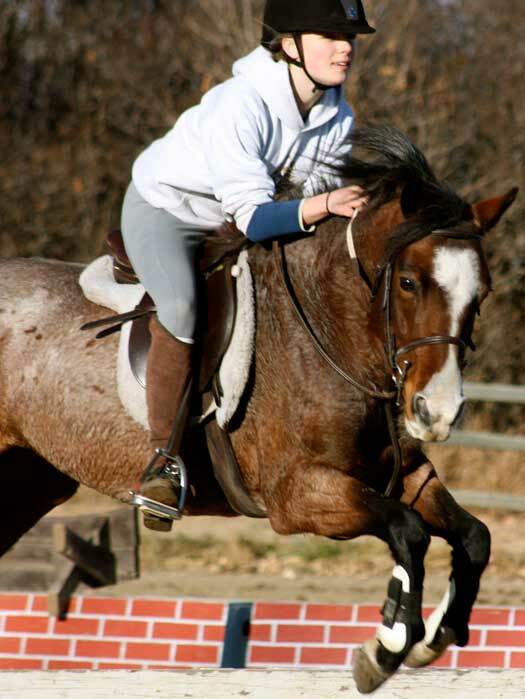 When we purchased a project pony for Teenager a couple of winters ago, I hadn’t the faintest inkling I would fall in love with Pokey as much as I have. She was brought home on a cold winter’s day, (along with another pony for younger daughter), as a project for Teenager to turn into a jumping pony. This is what she looked like then. 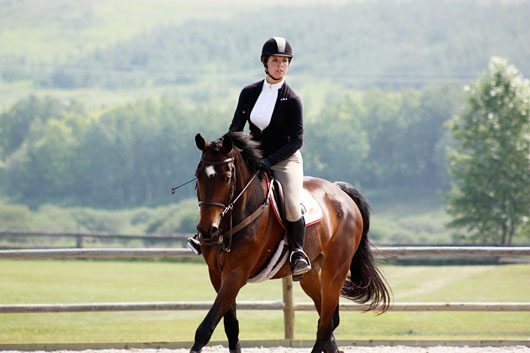 Healthy as could be and with a pony attitude we couldn’t help but adore. That, and her one blue eye and second brown eye captured our interest. There were no bloodline considerations, nor athletic ability professed. We just bought her “as is” and waited for spring to see what we’d gotten ourselves into. Underneath all that shag, and much to our delight, Pokey shedded out into a pretty roan coat. 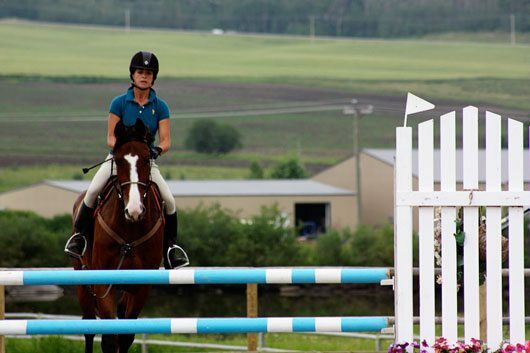 But best of all she took to the jumping ring. Took to it like a maniac. 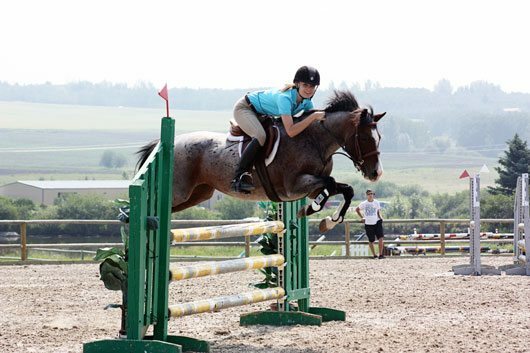 Teenager has showed Pokey a few times over the past two years, but between academics, volleyball, 4-H, and other commitments, it’s come to this spring before she could really buckle down and take time to ride and jump with Pokey. 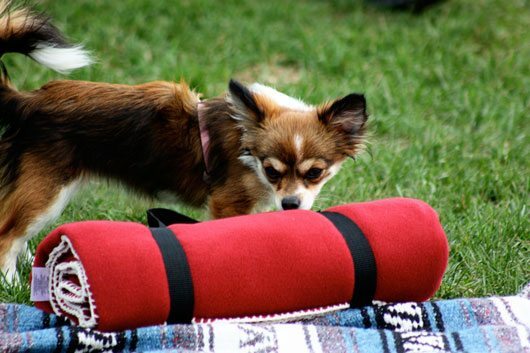 And this past weekend, she signed up and showed her seriously for the first time. 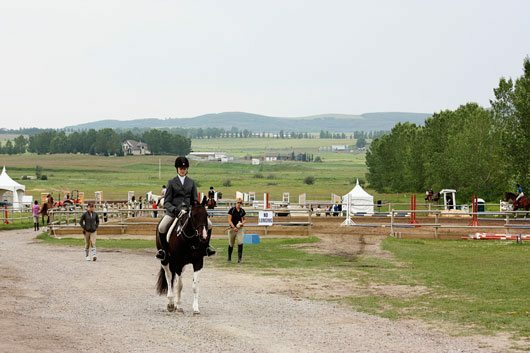 The show was hosted by Willow Grove Stables, and the venue was the utterly picturesque Rocky Mountain Show Jumping, just south of Spruce Meadows, Calgary. It’s really tough to attend a show in a setting like this. Gorgeous summer day, foothills backdrop, amazing facilities. I mean really, who thinks this stuff up? 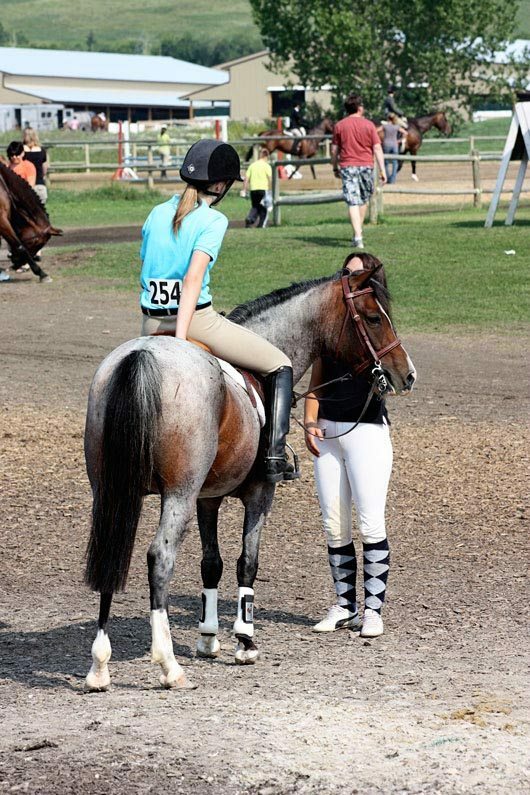 Here’s a talented kid also showing for the first time in sometime – on a warmblood named Achilles. I adore English barn names. Coming from a western riding background, the entire English set is a tad foreign to me. For instance, these are not socks Teenager’s coach is wearing, they are “zocks” my friends. Pay attention. With Teenager’s fabulously talented coach at hand, I had little to do other than watch the classes and take in the incredible view. Of course, I shot a lot of photos. A few of Pokey and Teenager. I’ll refrain from posting them all. But dang, they’ve come along, those two. 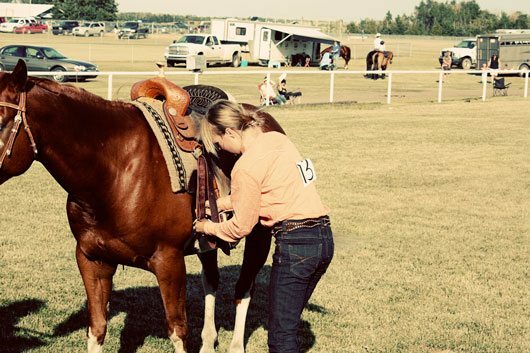 Just like any horse show, there is a myriad of horses – all shapes and colors. 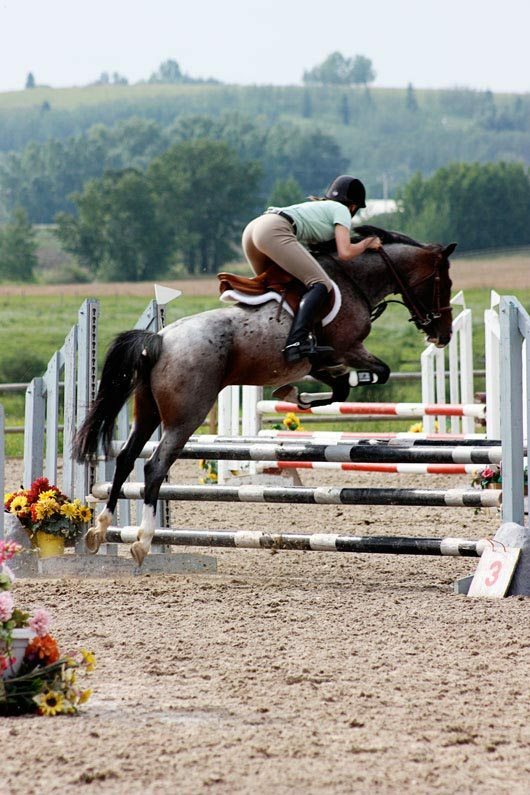 And the great thing about show jumping is it’s strictly about athletic ability. Chopped mane or not, this guy took the championship – thereby giving hope to all of us who have encountered equally impressive bad hair days. This is one my favorite shots of the day. 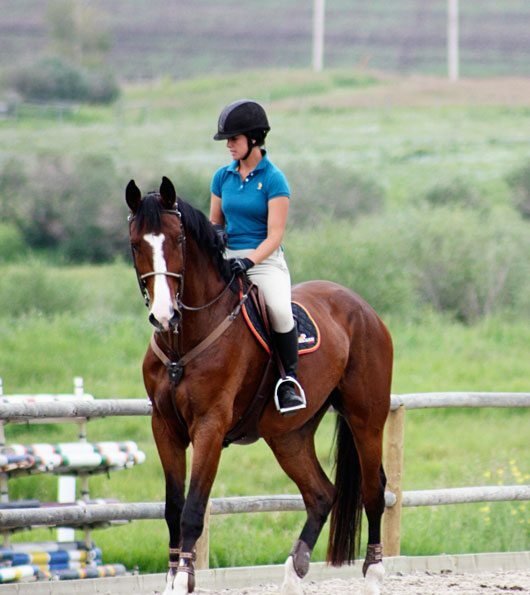 Teenager’s coach Kim riding a magnificent warmblood appropriately named Lord Cord. He’s Pokey – with an exponent of x24. 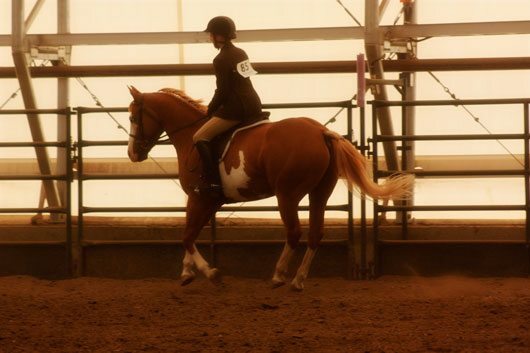 At the age of five, he is considered a youngster, and I believe this was his first show. He floated across the arena. Positively floated. I can’t wait to see him when he’s all grown up. Did I just type that? Grown up? Typical of any horse show there was a variety of dogs, mostly small. Of course, Wee gravitated to them, and spent the morning contriving a deal with Mom surrounding good grades and best behavior in order to secure one for herself. By noon, Teenager had finished (yep, that’s a reserve championship ribbon entwined in her fingers – yeah, kid! ), and we headed off to an entirely different set. 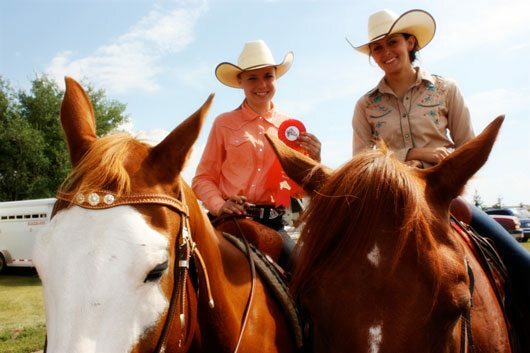 The JDP Barrel Racing Classic! Where I snapped another hundred or so photos! 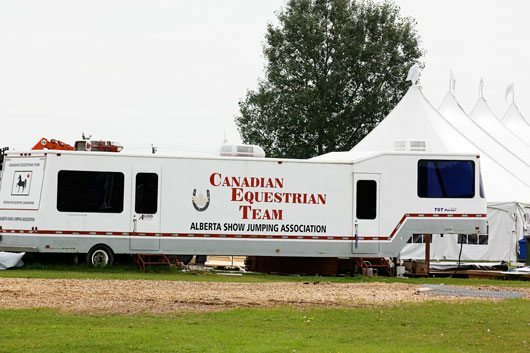 So, be sure to check back tomorrow for the highlights of this unique barrel racing event. This, internet world, is Pokey. 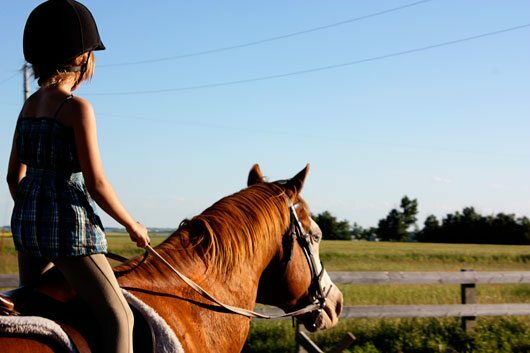 A “project” pony purchased two years ago during a brainwave I had regarding something along the lines of instilling self-confidence, responsibility and a work ethic in my teenager’s cerebral. An experiment in character-building. 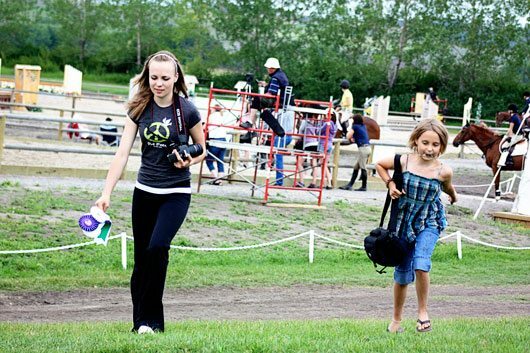 That, and the profit she might make in selling the pony (she was to guide into a safe and usable kid’s jumping pony), could be used towards the cost of the $264,324 (or somewhere in that neighborhood) she intends to spend on her “real” jumping horse. We’ll cross that bridge when we get there, okay. In the meantime, I have to divulge I’m still deliriously happy over Pokey. The story is classic. It all began one bitterly cold winter day. Perfect day for pony shopping. 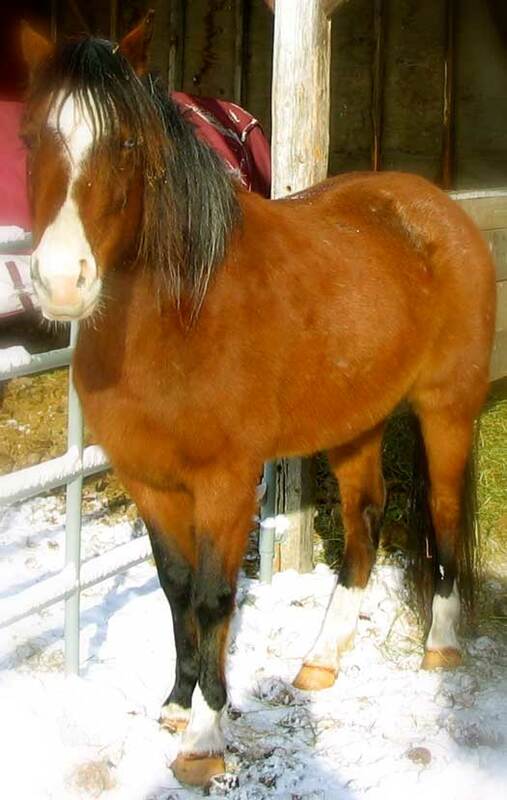 We weren’t actually looking for a pony for Teenager, we were looking for a pony for little daughter. Teenager was along to advise. 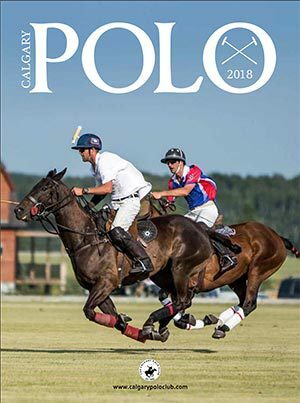 Somewhere in northern Alberta in a cold cement barn, a charming girl brought three ponies out for preview, and in true salesmanship fashion began with the least-desirable prospect – a little roan, shaggy-maned pony with one erratic blue eye, named Pokey. She was anything but. “Well, we’re here, try her,” I instructed Teenager. Charming girl saddled her up and Teenager rode her up and down the alleyway. Then we put her away. In a stall. By herself. Imagine. We moved on to prospect #2. Roan pony expressed her displeasure with this obvious dismissal through larger-than-pony-sized snorts under the stall door and pawing at the door. The equine version to “excuse me, I’m quite sure you have not given me the entirety of the attention I deserve.” She didn’t let up either, that rowdy little rebel. 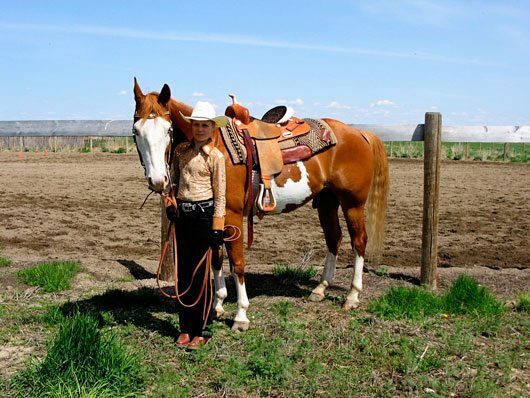 We landed the second pony, a sweet little buckskin, which seemed perfect for little daughter, right down to her name – Princess. On the way home, unable to release the vision of the roan pony, I innocently suggested to Teenager we call charming girl back and try for a package deal on both ponies: Princess for little daughter, and Pokey, as a project pony for Teenager, to raise some cash and give her something to do over the upcoming summer. It’s rare, let me tell you, but somehow, I won that one, and two weeks later, on another cold winter day, Princess and Pokey arrived. This is what she looked like then. Shaggy, matted, a tad belligerent. A lot annoyed. I hope she has since forgiven me for the “what was I thinking” look I gave her back then. 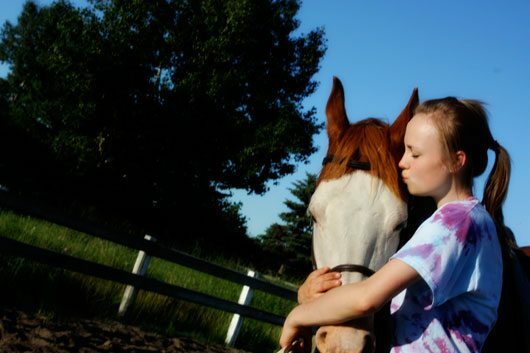 1) The Secretariat-sized heart she brings to each and every jump, each and every day. 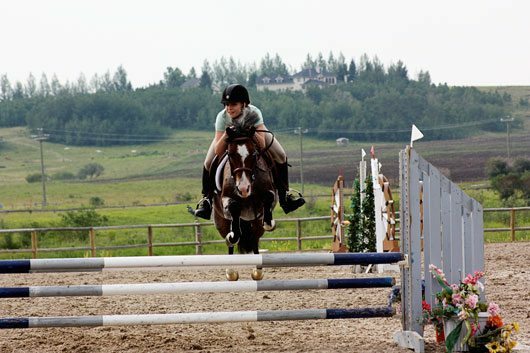 Standardly, she’ll pull at least a foot clearance over any jump presented her. She’ll never win a beauty contest (or, in the English world, a hunter class), but you can’t touch her in a jumping arena. She has the heart of a lion, that crazy little blue-eyed pony. 2) Her inquisitive nature. How she trots to the gate as you approach to bring her in. Big eyed, a bit presumptuous, impertinent at times, but reaching for a connection with you. 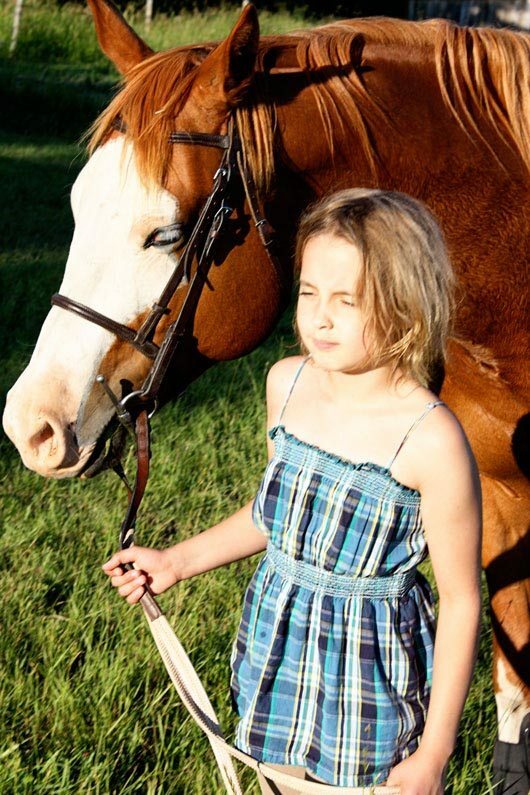 3) Her maniacal, stubborn pony spirit which has taught my daughter incredible lessons in patience. Oh, can I count the nights Teenager has left the barn, near a meltdown, over “that mental/deranged/lunatic (insert any adjective to “crazy” here) pony” which won’t “listen!”? 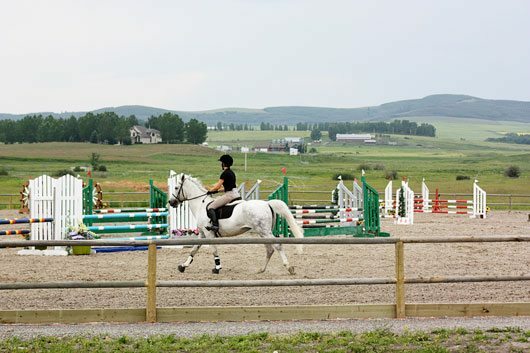 Oh, can I count the nights she’s left the barn, in awe of the little roan pony and her try and athleticism? That beautiful, mad as a hatter, blue eye that gives her that freak appeal on the left side. It’s her very own signature, that eye. I adore that eye. Turn her over, and I give you Pokey, the pretty perfectly normal pony. 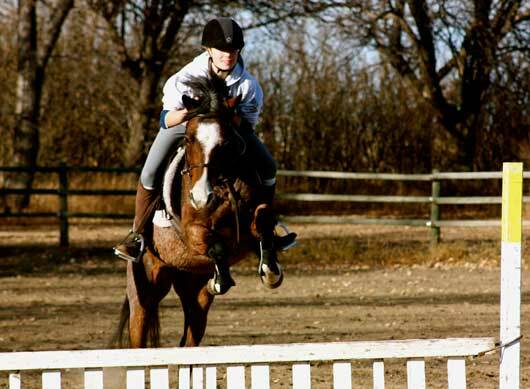 This is Pokey as she practices with teenager for another jumping season. Her show name is Hocus Pocus. 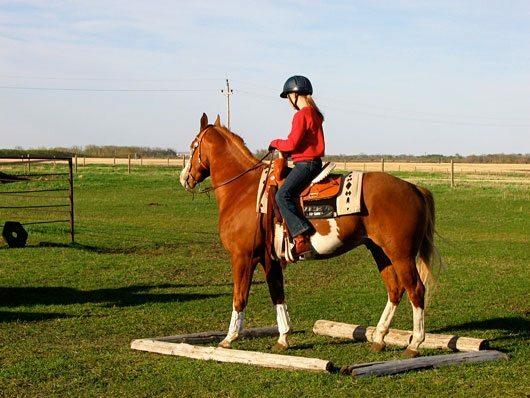 Teenager plans on selling her this fall to help fund that new jumping horse purchase. I can’t believe I just typed that. Sell Pokey? It’s suddenly grieving me on more than one level. 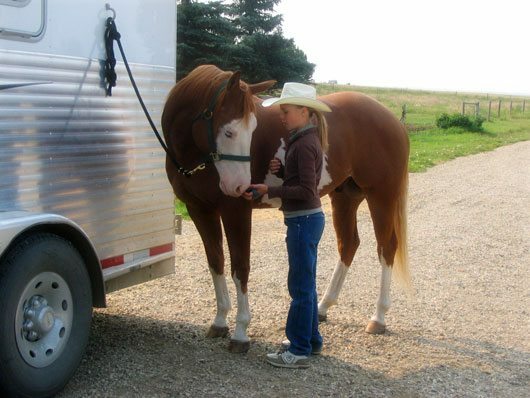 And may be directly related to the family truth that we have a history of not being able to part with our horses. You should never write about them. Or for that matter, name them.